Over the years since creating the original sounds a great deal more information has been forthcoming and additional sounds have presented to be used on these more in-depth levels. One of these was sound no 245 Caveats and was based on the fact that although in many instances human’s see themselves as ‘human’ there are indeed other ‘soul groups to which they may belong. In the Caveats sound we are dealing with and exploring the levels of Soul Contracts and the additional ‘clauses’ which may present as hidden or subversive special conditions, escape orpenalty clauses and more. Dimensional energies can be difficult to remove without the knowledge or tools to do so and we have spent many years in understanding the information we have been given before actually creating this sound in 2015. Much of the information contained within the Caveat sound dates back to a download of channelled information shared with Susan and I around 2007. We are very aware of our ‘duty of care’ in creating these high order sounds with the utmost clarity and intention. ‘These powerful sounds are available only to selected practitioners who are working with negative energies on a deep level, and who are personally approved by Sheila and Sounds from Source. practitioners who are working with energies on a deep level, and who are personally approved by Sheila and Sounds from Source, and who have a genuine desire to work on these deep and often challenging levels. 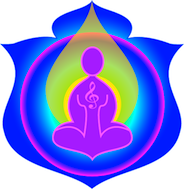 Currently there are only three specialised Practitioner programs in which these sounds are included and these are the new Energetic balance and Harmony Energies and Attachments program, the Energetic Balance and Harmony 1 Program and an updated version of the HK Sounds is also included in the High Order Energetic Clearance Program. Comment by Susan – This need for this particular sound came fairly quickly after the recording of the Vows and Contracts and Enforcable Obligations sounds. However, due to its very rare usage – given that both Sheila and I can intention the playing of any of the sounds – it has not been recorded until recently (2015). Which goes to show why some of these decriptions take a while to appear on this page. Caveats is required to clean up a specific clause or condition or limitation which has also been included with the above sounds. Although we rarely had use of this sound back in the day – recently – due to the shift of awareness in both clients, practitioners and teachers – it has become necessary to have a full recording of this sound. It nicely fine tunes and catches any fine print clauses or dross which has to be removed for a person or condition or business or limitation and deals with the subtle complexities that require that little ‘extra’. The one good thing about recording this sound now? Due to Sheila’s connection becoming far more refined over the years, the other sounds listed about are very long, 15 or 16 minutes and so on. This one – having been recorded more recently is only 2.25 minutes long and is much more intricate on on cause – given what we know now – as compared to what we knew then. Also interesting to note for those of you who are wondering – we do upgrade the sounds every so often. As with the recording of this sound – the others above have automatically been upgraded by Sounds From Source – to cover extra knowledge, layers and levels which is now needed thanks to the recording of the Caveat sounds.